Spot on, phoned up n arranged when to do job, all done wi no dramas. It is important that your fleet of vehicles have the right tyres and in the right condition. 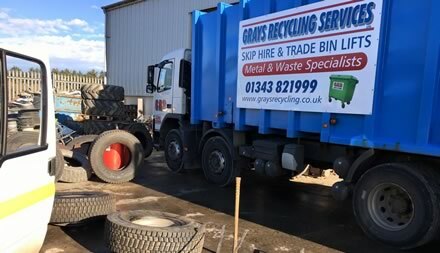 Moray Tyres provides an on-site service to inspect and repair/supply your commercial truck tyres as necessary to ensure you peace of mind and confidence in the fleets' tyres as well reduced downtime and value for money. Call Moray Tyre Services on 07878 222976 for your on site tyre supply/repair ... 24 hours a day.